My mother used to tell me ‘You only get one chance to make a first impression’; I still find this so very true. When looking for a school or college for your children you will want to find the very best you can for obvious reasons. A poor first impression is likely to put me off completely. A good first impression is far more likely to grab my attention and make me want to look at the school or college as a potential contender for my child’s educational needs. Believe me good branding makes all the difference for schools and colleges trying to fill their courses. Branding for schools and colleges is a must in this day and age. Schools and colleges have generally accepted that good branding is essential for their success. Branding for a School or College is easier than you might think. Here are some tips to help with a schools branding. to the parents and teachers. 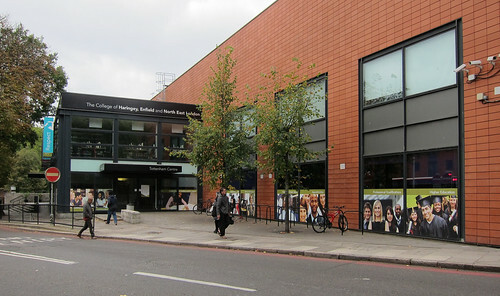 Bright colours, suitable font and images such as books, mascot, and school building all contribute to an effective school logo. Consistency is the key here, you need a design that your school will be happy to use on uniforms, PE kits, stationary, school signage, and vehicle wraps. It is no surprise really to expect people to want to visit a school or college website when looking for education establishments suitable to their children’s needs. A good website is essential for any school or college. It should of course use the same colour scheme, logo design and fonts including use of a consistent motto/tagline. Of course the look and design of the website is very important but if the content on the schools website is poor or if the navigation or usability is rubbish it sends a negative message. Very often the website will be the first contact that a parent or potential pupil has with your school or college. A good or bad website can make or break a schools branding. Most schools and colleges have a school minibus. They are very often used for school trips and transporting school teams such as the football or chess team to neighbouring schools. Using vehicle wraps can transform a minibus from looking like a prison transport van to a bright and fun moving advertisement for your school or college. Effective logos and colour scheme designs can be eye catching and portray a message at a glance. Vehicle wraps are a fantastic opportunity to advertise everywhere your school minibus goes! Signage is probably the most important branding opportunity that and school or college has. A schools signs will be something that the local community, parents and children will see every day. Using the schools logo, colour scheme and motto on highly visible signs will re-enforce the schools branding and also of course serve to give your visitors directions. The last thing you want is visitors to your school to not be able to find you. A good school prospectus should include all the information a parent and student will need when choosing which school or college to attend. In addition to this the prospectus is of course a branding opportunity. High quality photos, well written text, professional layout and of course use of logos etc. are all essential to a good school prospectus. School branding is not just about using the same logo and school colours; it is also about sending the same positive message over and over again. The schools website and prospectus of course can actually use the written word to give this message. This of course should be done but the schools message or brand should also be reinforced by other methods such as logos and mottos and school signage. Making sure that all departments in the school all use the same colours scheme, logo, motto etc. are a must. It can be very helpful to have an official list of approved uses and designs to make sure that your different departments are all using the same branding. Effective Branding for schools helps head teachers make their schools an attractive prospect to parents and kids. It helps put ‘bumbs on seats’ for each school year. More importantly though it helps the local community, students, parents and teachers alike to understand what a school is about and helps to give the school an identity that shows what the school or college is all about. Ross Davies writing for Signs4Education the UK specialist in school branding and school signage. I have to start marketing more locally. All my clients are in the united states I only have 4 or 5 Canadian customers. I was considering getting a logo for my SUV I think that might help a lot for marketing to local companies wanting to market blog content. Something I think schools need to consider more these days is the peer review process. It’s now possible to find out from students/parents what the school and its teachers are like. Just as with reviews of other businesses, these often carry much more weight than what the business itself says. So with that in mind the best branding a school can do is to be great at what it does. School Brandingis a great thing to do. School signage is agreat piece of marketing andit really helps current parents and potential parents find their schoolof choice. The school community should be involved in school branding for acceptability purposes. Thanks for bringing up how signage is important for branding with a school. I think that from the front sign to record boards, these signs help to distinguish a school from other places. Having quality signs that define the personality of a school is an important element to have.